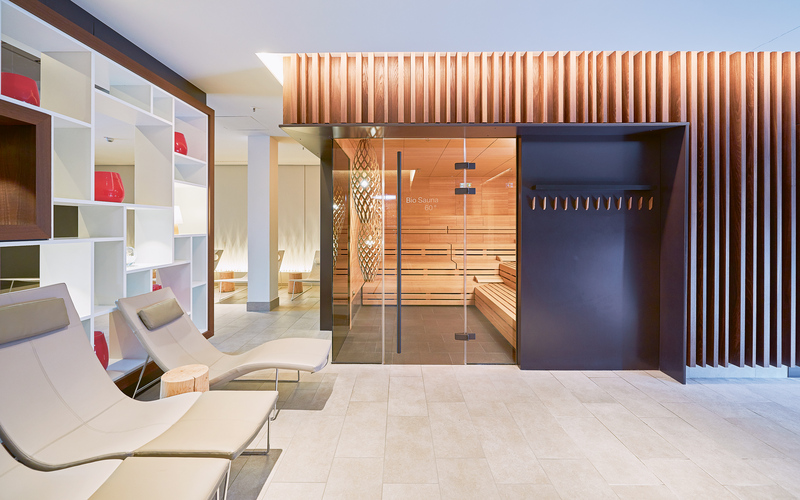 Training and recovery, indoors or outdoors – Germany’s hitherto largest ELEMENTS in the Fitnesspark Eschborn features a complete all-round carefree package. 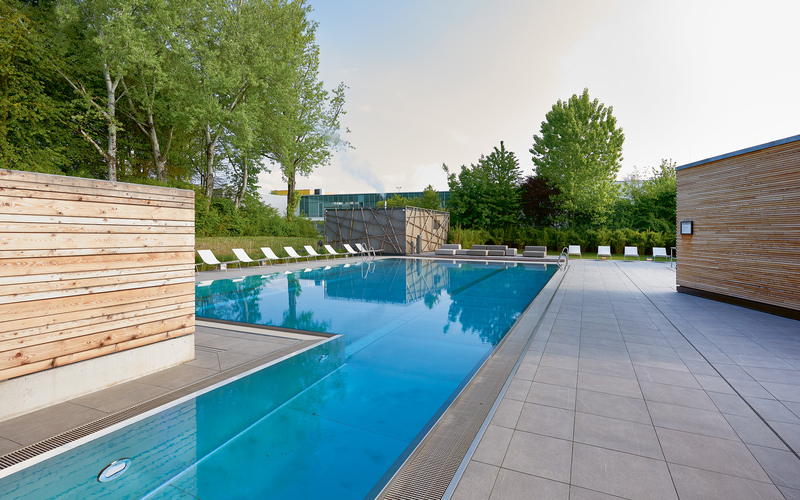 Aside from its considerable size and the extensive fitness and wellness offer, the impressive 188 m² outdoor pool is the highlight of ELEMENTS Eschborn. 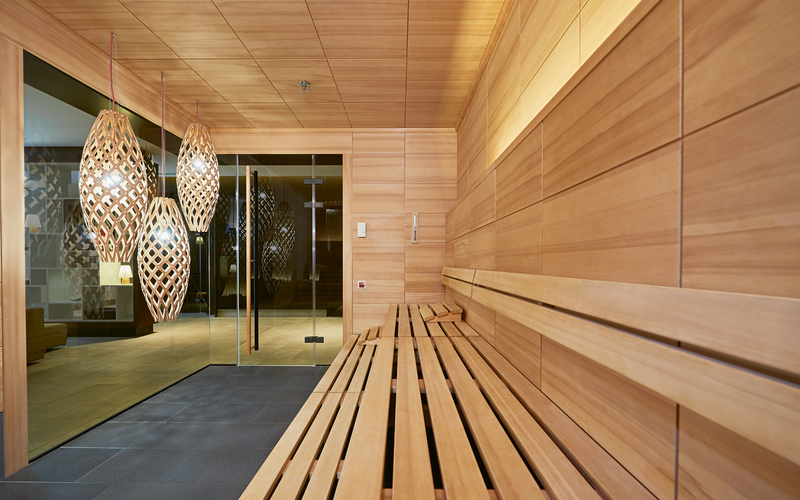 The feel-good ambience of the 5-star wellness area is supported by high-grade, natural materials that distinguish the interior design. Total fitness and wellness studio on 5,200 m². Wellness area of approx. 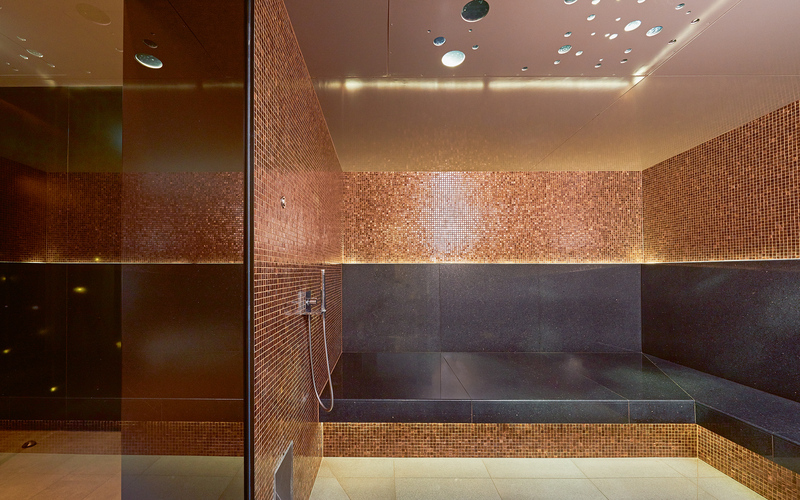 1.900 m²: Two PROFI saunas with ­SANARIUM®, two solid steam baths with seats made of natural stone, rest areas. 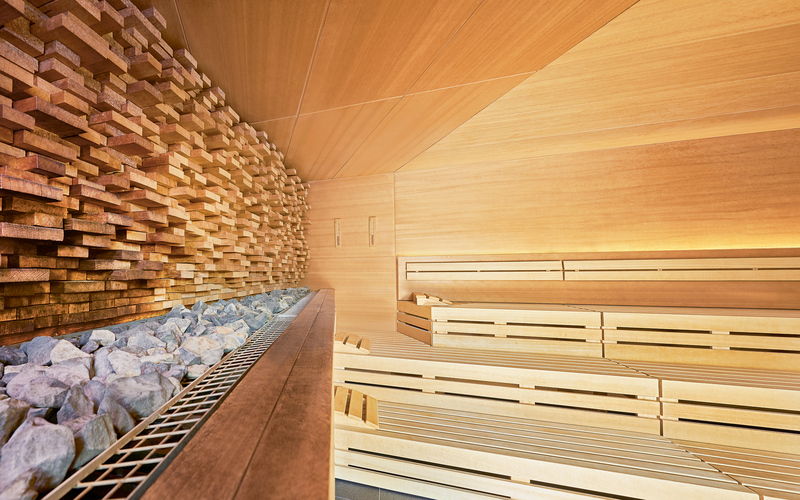 Exterior area: exterior sauna with individual interior and exterior panelling, two pools and a sunbathing area.